Marketers have forever been looking for better ways to target shoppers. All sorts of location technologies ranging from GPS and Wi-Fi to beacons and specific mobile apps have been tapped over the years. At retail, beacons have been used for the last few years to tell where shoppers go in a store and sometimes message them based on where they are at any given moment. The little one-way radio transmitters trigger a specific authorized app in a smartphone and, presuming consumers have Bluetooth turned on and opt in to receive messages as they shop, brands or retailers can start interacting based on specific locations, such as in the shoe department or sporting goods. However, location tracking over time is starting to provide totally new advertising opportunities based on longer-term behaviors of a shopper beyond a single store visit. The first I noticed of this was a year ago, when a campaign for Bona Hardwood Floor Cleaner created a targeted effort by including timing into the purchase cycle. 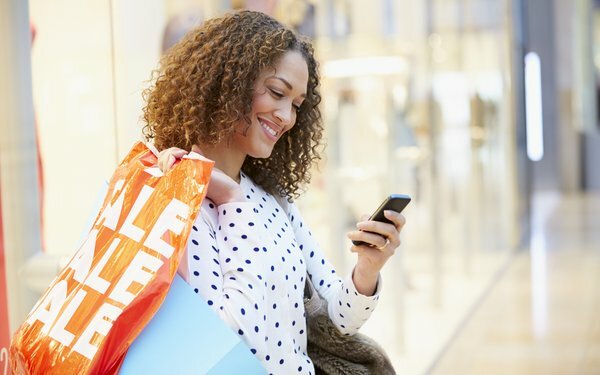 The campaign used beacon-trigged knowledge and the company and its agency, Crescendo Collective, created predictive mobile ads, identifying when a person is due for their next store visit, as I wrote about here at the time (Beacons Determine Best Time To Send Ads, ID When Shopper ‘Due’ For Store Visit). That approach essentially tracked shoppers’ shopping patterns at particular stores. Now InMarket, the company that used beaconing technology for that program, has created an additional shopper behavior model, by focusing on people who stop going to a particular store. “The program is to track someone who was regularly going to a store and then stopped,” Todd Dipaola, CEO of InMarket, told me. For tracking, the company uses beacon-triggered data along with GPS, Wi-Fi and numerous mobile apps of InMarket and third parties, such as a retailer. The technology can identify a shopper who was regularly going to a store and then stopped, say after a 30-day period. Once identified, those consumers can be sent a relevant ad from the retailer, which could include an incentive to go back. Dipaola said messaging does not necessarily have to include a discount to draw the shopper back. “Some of it is just making it top of mind,” he said. To assure that the messaging is what drove the consumer back to the store and not just coincidence, InMarket includes a control group that receives no messaging. In one program for a retailer, InMarket identified 290,000 lapsed shoppers and recovered or got 118,000 of them to go back, said DiPaola. The 40% return rate compared to 15% of those who returned to the store without being exposed to any messaging, he said. Such tracking data along with increasingly sophisticated analytics capabilities, can provide insights around what category of stores shoppers frequent and even which specific stores. In years past, this could be done manually, but by a lot of work. Thanks to beacons combined with multiple other location technologies, this now can be done automatically. Now a consumer can receive a little help in deciding when it’s time to go back to a store. Especiallly the one they stopped going to.